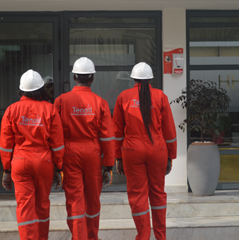 Tenoil Petroleum and Energy Services (Tenoil) is an indigenous oil exploration and production company with a global perspective. Our objective is to link production from oil blocks to domestic value chains and encourage other value-adding activities across Africa. We are headquartered in Lagos, Nigeria, with planned operational bases in Port Harcourt, Eket and Warri.